David Marcinkiewicz drove his car into a group of three male friends shortly after instigating a fight with them at a petrol station. David Marcinkiewicz, 34, drove his car into a group of three male friends shortly after instigating an unprovoked fight with them at a petrol station. He fled to his home country in 2008, and in 2016 he legally changed his identity while in Poland so he could re-enter this jurisdiction. 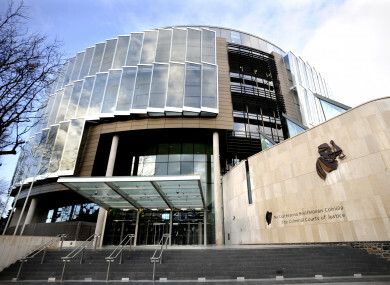 Marcinkiewicz, a father-of-two with a former address at Thornfield Square, Clondalkin, Dublin, pleaded guilty at Dublin Circuit Criminal Court to assaulting Padraic O’Hennraich causing him harm on the N4 Palmerstown Bypass, Dublin, on 19 June, 2007. He also pleaded guilty to two counts of endangerment involving O’Hennraich’s friends Eoin Walsh and Daniel Byrne on the same date. Marcinkiewicz has 30 previous convictions, mostly for road traffic offences at District Court level. Garda Anthony Seymour revealed that he had applied for a European Arrest Warrant in 2008 and conducted periodic checks on this in the following years. Through one of these checks, he found out that Marcinkiewicz had reregistered with a new name in Poland and had returned to Ireland. Garda Seymour said that after a short surveillance operation, he arrested Marcinkiewicz, who was working as a mechanic, in July of this year. He told Gerardine Small BL, prosecuting, that the three men had been returning from a night out and had gone to a service station along the N4. Byrne told gardaí that as he was buying a packet of crisps at the service hatch, he noticed the driver of the only car at the station standing nearby. He said this male instigated a short fight before he and his friends got away, and were laughing about the encounter while walking on a bus lane on the N4 when Marcinkiewicz’s car came out of nowhere. Garda Seymour said the serious lacerations on O’Hennraich’s body were caused by a piece of metal “that formed into a scalpel” as the car buckled on impact with the three men. In a victim impact statement read out in court on his behalf, O’Hennraich said the hit-and-run had changed his career direction and sporting life. He said his first “extremely hazy” recollection was of panicking, as he woke up in hospital from an induced coma while attached to a life support machine. O’Hennraich revealed he sustained a fractured jaw and skull, torn tendons and required 120 stitches and staples all over his body. He said at the time he had won several world championship medals while on the Irish national kickboxing team and had been training for the Dublin marathon. After the hit-and-run, he had to give up these pursuits, and also had to give up a prospective career in civil engineering, because prolonged and persistent headaches meant he couldn’t study at college. He had worried his assailant might never be found but was “so happy” to hear that Marcinkiewicz had been tracked down and wouldn’t get the chance to disappear. He thanked Garda Seymour for “not letting this go”. In his victim impact statement read out in court on his behalf, Walsh said the incident had affected him mentally and physically. He recalled that as he lay winded on road, he had to push his friend to one side so he would not choke on his own blood. Marcinkiewicz told gardaí after his arrest that he “couldn’t control himself and had wanted to stop and fight”. In court, he spoke briefly to express his “deepest apologies” to his victims. “I have no words. My deepest regrets to the injured persons and I am very sorry,” he told Judge Melanie Greally. The judge noted that in a letter of apology, Marcinkiewicz had attributed his action to immaturity at the time. She commented that he had made very little in the way of material admissions or expressions of remorse after his arrest in 2007. “All three of these offences are right at the top of the scale in terms of severity of their kind,” she said. She imposed six-year sentences for the endangerment charge and four years for the assault, all to run concurrently. She said the maximum sentence she could impose was five years for the assault and seven years for the endangerment, should there appear to be “illogicality” in those jail terms. Email “Man who fled Ireland and changed identity after driving car into group of friends given six-year sentence”. Feedback on “Man who fled Ireland and changed identity after driving car into group of friends given six-year sentence”.